VPN Unlimited: All you need to know about secure net surfing. Recently, the Internet has been overwhelmed by a wave of blocks, which often makes it impossible to access your favorite sites. Moreover, the network is full of projects that are not available in many countries, for example, Spotify or Netflix. Today I will tell you how to bypass all restrictions and locks using the VPN Unlimited service. VPN Unlimited creates a virtual network and lets all your traffic through their servers around the world. In other words, you get the opportunity to work with the Internet, as if you were, for example, in the US, Germany or Brazil. 34 servers are available in 25 countries. There are no restrictions on speed and traffic. In some cases the speed can even grow up a bit. In this case, the service completely encrypts all traffic. For anonymity and security of data transfer, you can be calm: providers cannot intercept your traffic and learn about your Internet activity. But even if you have nothing to hide, then this protection is definitely not a problem when working in open Wi-Fi networks, for example, in a cafe or hotel, where criminals can steal your personal information, passwords or credit card data. Transferring data over a VPN. 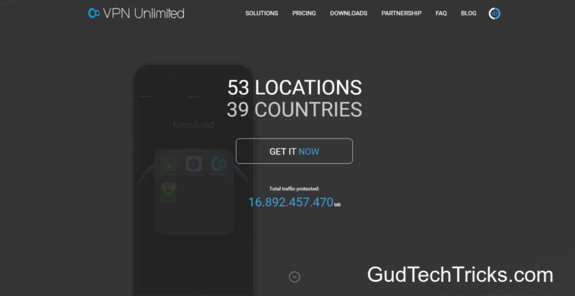 The advantage of VPN Unlimited is that the service has its own applications for all popular systems, including iOS, OS X, Windows, Linux and Android. This is important, since most VPN services use free solutions that do not differ in simplicity and convenience of the interface. VPN Unlimited for Mac has a nice design and is easy to configure: login through your account on social networks, select a country to connect to the Internet, and in a minute you’re online in complete security. No complicated actions and passwords are required, the service itself will connect to the VPN server when the Mac is turned on. I used the free Tunnel Blick for a long time to work with VPN on a Mac, and the application is not very convenient, especially in comparison with VPN Unlimited. The subscription price starts at $ 1.99 for 10 days and $ 3.99 for the month and ends with a profitable $ 64.99 for 3 years (less than $ 2 a month!). And, most interestingly, you can pay directly from the application through the Mac App Store and not worry about the security of private information.